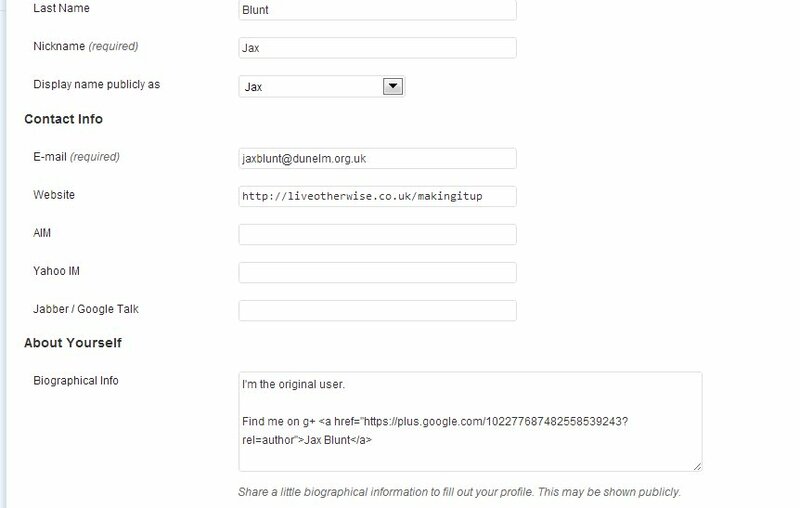 More on G+ – authorship on self hosted wordpress including multi author sites. 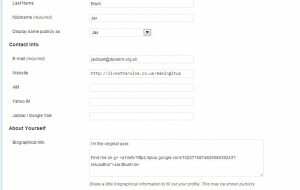 Yesterday I wrote about how to claim authorship for your wordpress.com site. The technique I used included displaying a profile badge on your blog. You might not want to do that (perhaps you’d like to display a page badge instead, more on that in another article), or you may have more than one author on your site, like I have on Making it up, so need something a little different. Don’t worry, this is still straightforward. There are plugins, such as Yoast, that will achieve this for you, or you may be able to do it with your theme, particularly if you’re using a premium theme like Genesis from Studio press, but it’s very simple to do it yourself. Basically, there are two steps. 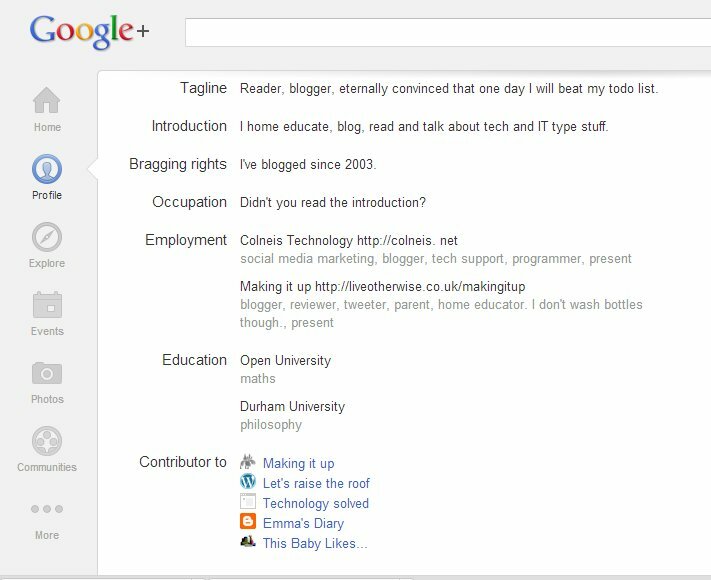 Step 1 – each author needs to list your blog in the contributing section of their google profile. (as ever, click to embiggen). If you’ve only the one author, you’re done. Otherwise, you repeat for each individual author. You can test that you’ve got it all working fine by using the rich snippet testing tool. Filed Under: Blogging, Social media. Hi Jane, sorry for not getting back to you sooner. I’ll drop you a line to see if you’ve got this sorted.